Vous êtes sur Toulouse le 22 mars ? Vous aimez l’espace ? 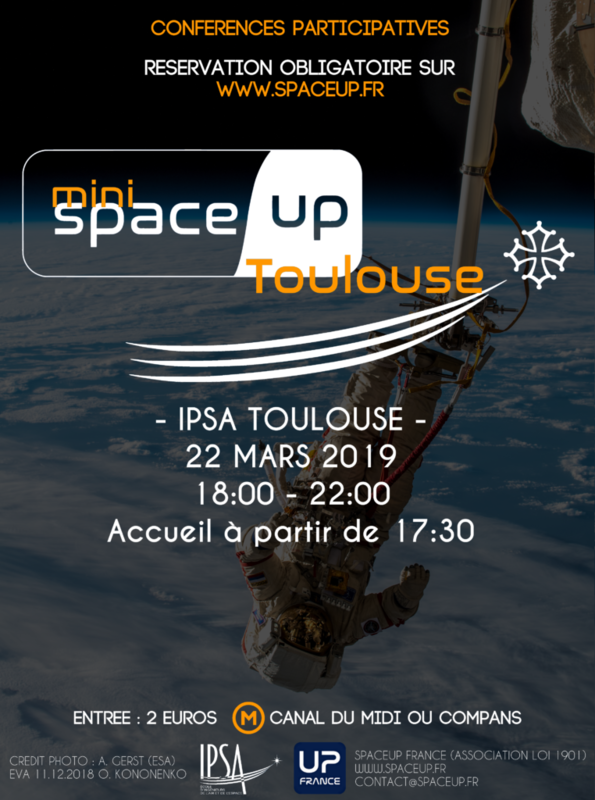 Venez à notre prochain mini SpaceUp à l’IPSA de Toulouse. 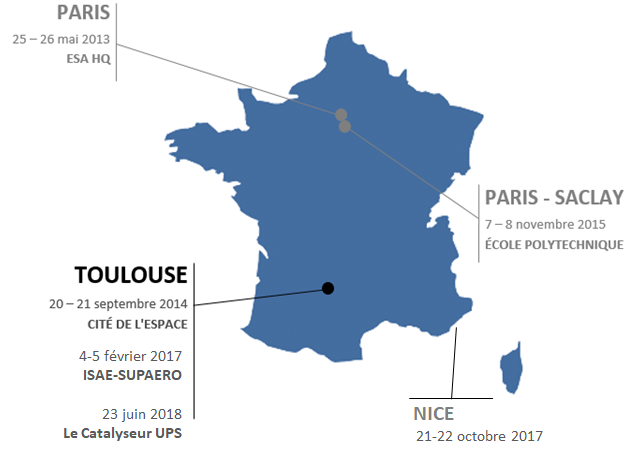 Au programme : des conférences participatives toute la soirée. SpaceUp is a space unconference, where participants decide the topics, schedule, and structure of the event. Everyone who attends SpaceUp is encouraged to give a talk, moderate a panel, or start a discussion. Sessions are proposed and scheduled on the day they’re given, which means the usual “hallway conversations” turn into full-fledged topics. 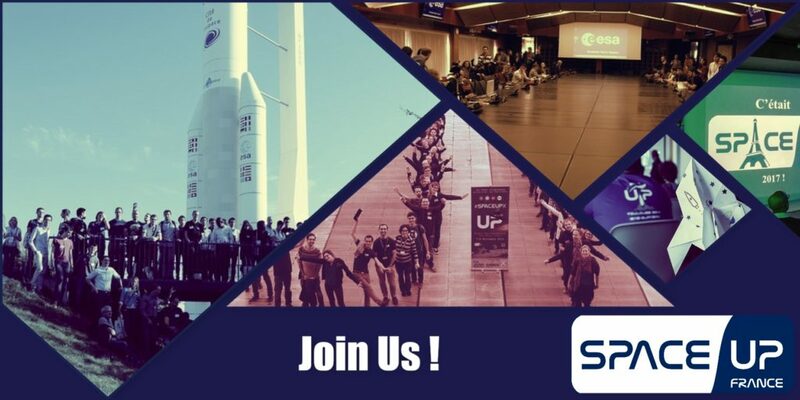 Find more details about SpaceUp Events. but also MiniSpaceUp and Yuri’s Night (see Other Events). Subscribe to our newsletter to be kept informed or check our social networks for our next SpaceUp !